The bathroom off the bride's getting-ready room in the historic Wagner House at Lakewold Gardens in Lakewood, Washington is a beauty. 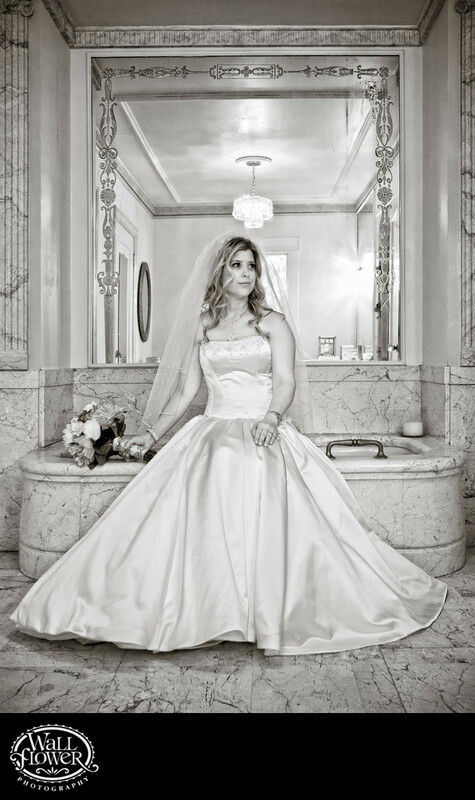 Its biggest feature is an antique marble tub, and this bride is posed sitting on the edge of it, looking off to the side with her bouquet in hand. The black and white effect adds to the vintage look of the scene.